We are rolling out the six nutrients with orgami this week. I use this prezi lesson on the six nutrients and have students create a nutrient chain and locate three food sources. This really gets them thinking about why we need nutrients when I show them the shocking pictures of deficiencies. Now we dive deeper into each nutrient and talk about the good and bad, saturated and unsaturated, hydrogenated and so on. I really like to fry different items in saturated and unsaturated fat to give students a visual of how the fat will flow or not flow through their arteries. Last semester I fried chick-fil-a nuggets, a copy cat recipe. Since we’d already had chicken strips a few weeks back I decided to do a really easy and quick recipe making DIY dough nut holes. We took store-bought biscuits, divided one into four equal pieces and rolled into a ball. 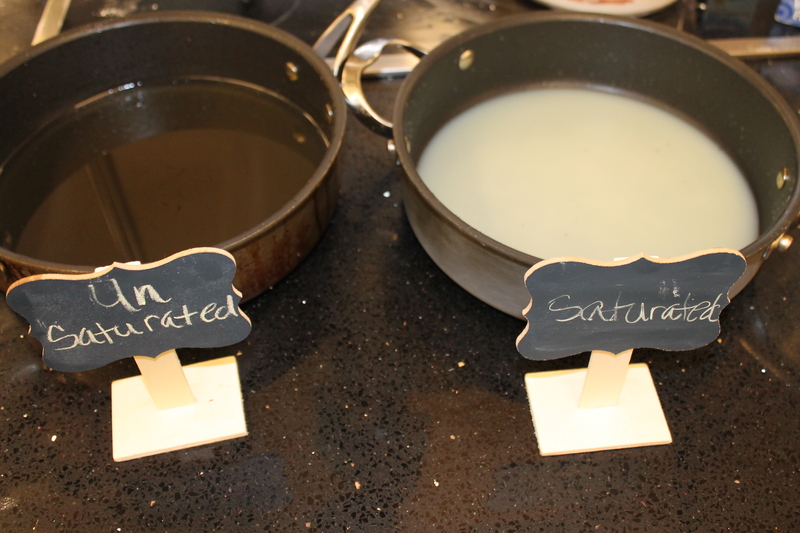 Each student fried two in canola oil, our unsaturated fat and the other two in shortening, our saturated example. 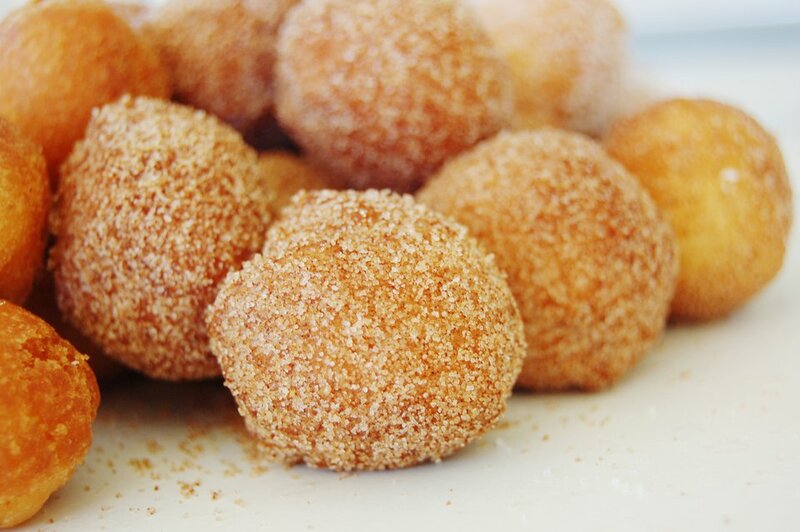 They were rolled into a cinnamon and sugar mixture. Then we did a blind taste test to see if our taste buds detected any differences. One class couldn’t tell at all, while another class tasted the fat residue, greasy feeling, yucky after taste with the shortening compared to the oil. Interesting, don’t you think? It was especially alarming to the students that the fats looked like the picture above the very next day. It proved that the shortening came back to the hydrogenated state and this is what it looks like in our arteries. The next day is our talk on carbs. Simple vs. complex and the demo is using whole wheat flour. We also walked through all the nutrients we topped on our pizzas. I prepped this whole wheat dough the day before and this made the demo go relatively fast. 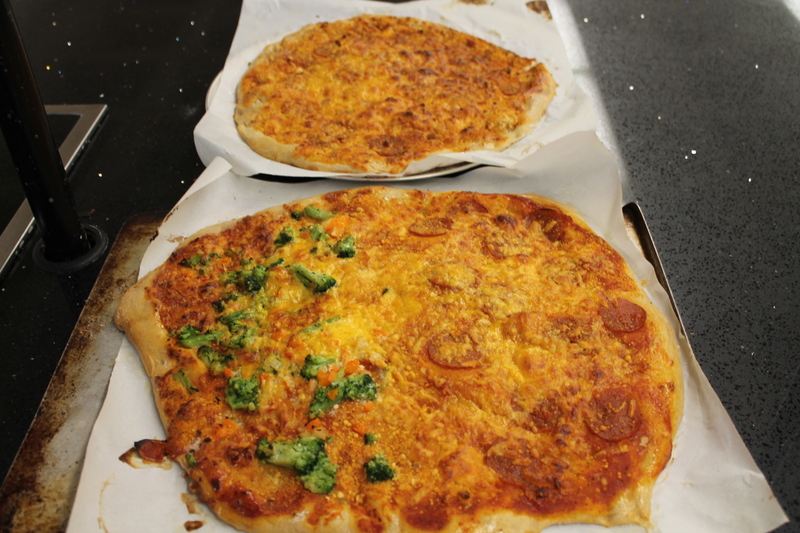 We decided our pizza contained all six nutrients, including water since we had water in the dough recipe and veges contain water, especially broccoli and peppers and onions. 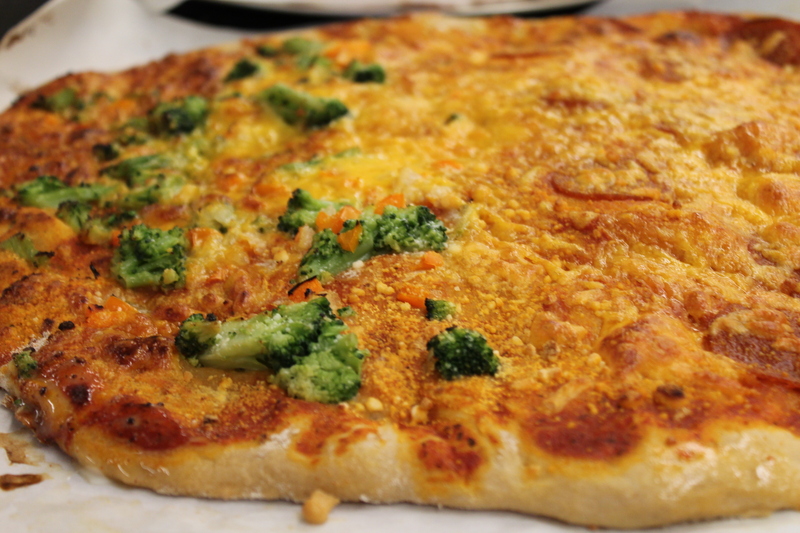 The cheese reinforced the fat and I used this youtube to talk about healthy pizza. 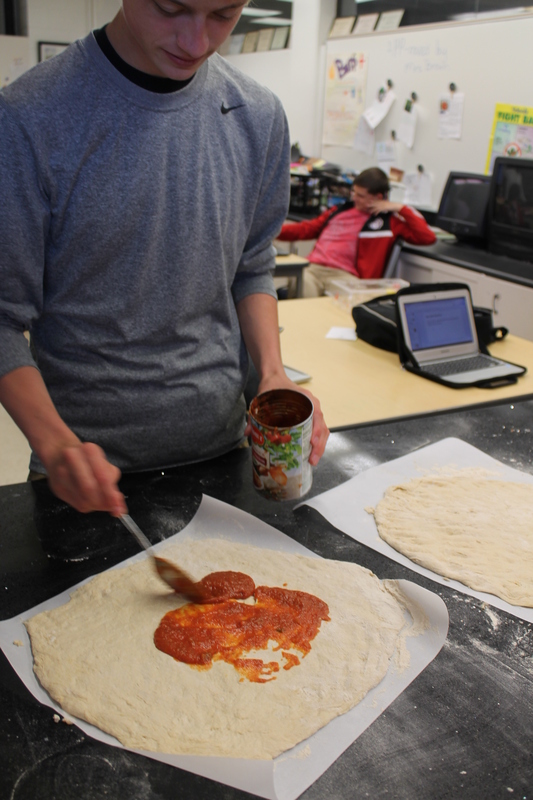 Davis is prepping our pizzas with vitamins from the pasta sauce. This was a yummy experiment for the kiddos. Tomorrow is our Athlete Day where we will talk about vitamins and minerals and sports drink since the exam has quite a few questions about it.